​Chengdu Herbpurify Co.,Ltd is a Science and technology enterprise, which focus on high purity natural medicine monomer R & D and production. 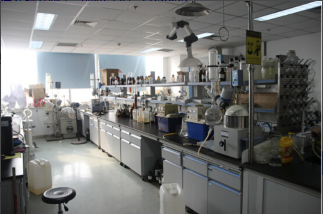 The Main business contains Traditional Chinese medicine reference substance, Plant standard, Natural medicine active monomer, Processing custom production, Processing of drug impurities separation and purification, and the technology development research and technology outsourcing services. Also company does research and development of leaf plant all kinds of plant species and some animals medicinal parts, such as herbaceous plants in the world, woody plants, aquatic plants, hydroponic plants, succulents, flowering plants, and so on. Company is located in Chengdu high-tech Zone of biological medicine base”Tianfu Life Science Park”, we insist the independent research, development and innovation, constantly overcome all kinds of technical difficulties, and have received dozens of invention patents and utility model patents. We also award the “high-tech enterprise”, “Chengdu key new products” “Scientific and technological small and medium enterprises”, which was evaluated by the Bureau of science and technology of Local government. Companies adhering to the spirit of”Giving full scope to the talents and virtues; Not seeking the best, but the most appropriate”, and the values of condensing first-class talent, building a first-class team, development the first-class products, Achieving first-class enterprise, and the vision of promoting the development of modern traditional Chinese medicine, improving human health and life, adhering to the development of new drugs for prevention and treatment of diseases, for the benefit of a better life .Historical mission for the safety of human life is the corporate goal . As the high attention paid to the natural health, especially in the scientific field, our achievement in the modern Chinese medicine development was highly valued by professor Xiangfu.Kong,a well-known scientists from Harvard University and Boston University. After his deeply research and investigation, he has established a close cooperation with us in October 2015, We special invite professor Kong as distinguished lifelong senior consultant, and prepare to establish a channel of promoting the development of modern medicine between China and United States, set up a platform for screening, researching and promoting of natural active substances, and build a laboratory for systematical and comprehensive research of traditional Chinese medicine both in China and the United States. Dominated by Herbpurify, we'll establish a branch office in America and promote our directional escorted&rapid development.